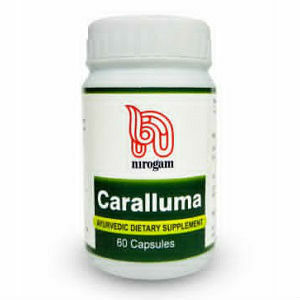 The good news is that there are many products like Nirogam Caralluma that can supplement your diet to promote weight loss. You just need to find one that utilizes the right components that is best for you. The manufacturer recommends taking two capsules, three times daily before a meal. The manufacturer states that no significant side effects are known of Caralluma while mild side effects like gastritis may occur in some people. These side effects are short-lived and usually disappear within a week or two. Caralluma Fimbriata is not recommended for women who are pregnant or lactating. Internet pricing may vary from website to website. At the time of writing this review, this product was found at a price of $9.41 for a bottle of 60 capsules, which under the suggested use should last about 10 days. Many people want a guarantee as an assurance that if they don’t get the results that they are looking for, they will not be punished. Depending on where you buy this product, individual websites may offer their own money-back guarantees. The manufacturer states that if you would like to return the product that you must contact them within three days from receiving the product. Then they must receive your returned product within 10 days to be eligible for a return. However, the low cost of this product raises red flags and causes us to recommend you keep looking for a more suitable weight loss product. Will Herboy	reviewed Nirogam Caralluma	on February 26th	 and gave it a rating of 2.5.